Once in awhile I like to reward my stampers with a little gift just for coming to stamp with me! 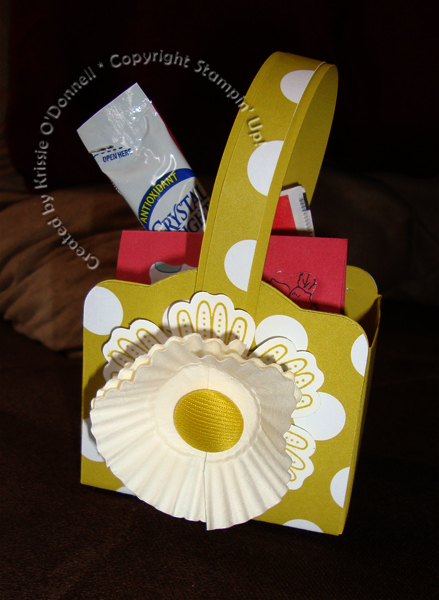 I made this cute little flower basket filled with drink packets. I got the idea on pinterest, so here’s the link so you can make one! Again, I used the pop-up posies kit, it has these little cupcake liners and big Summer Starfruit brads that make great daises. I layered these over a flower from the mixed bunch set. I tucked a little thank you card into each one too, here’s a peek at that. 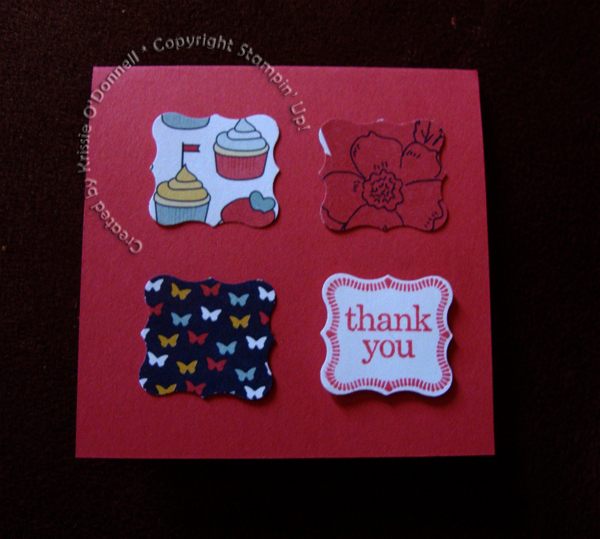 It uses the petite curly label punch and the pretty petites stamp set from SAB. I punched out images from the Patio Party designer paper, which is where the Summer Starfruit dot paper comes from in the basket too.